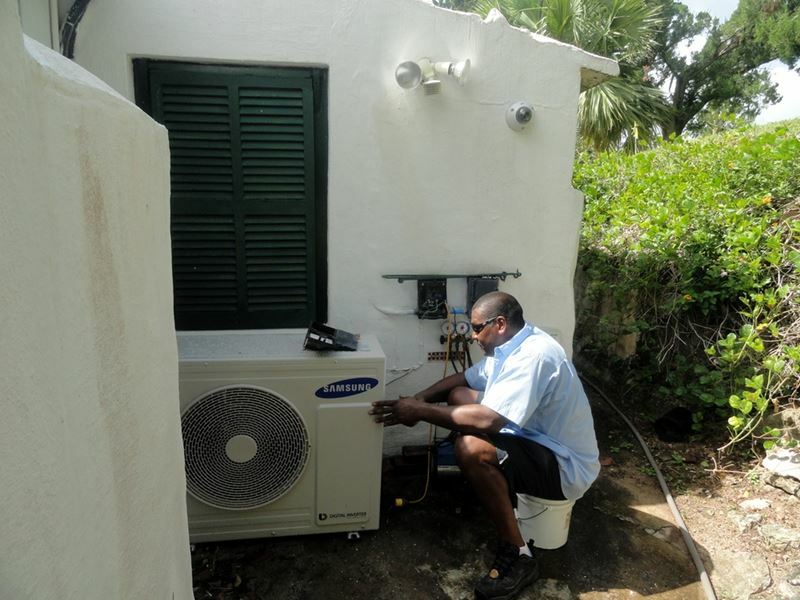 Efficiency Limited, the exclusive distributors of Samsung air conditioning equipment in Bermuda, have donated two air conditioning units to Carter House and Museum, the historic 17th century building located in St. David’s. 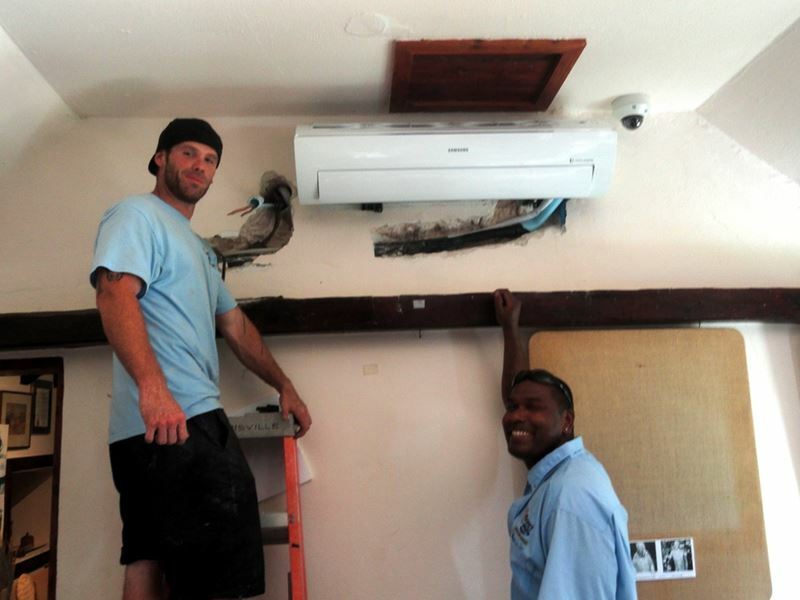 Members of the Efficiency team, Edward Petty and Terrence Bowen, spent the morning of Saturday, August 30 installing the two units at Carter House, one for the upstairs area of the museum and one situated downstairs. 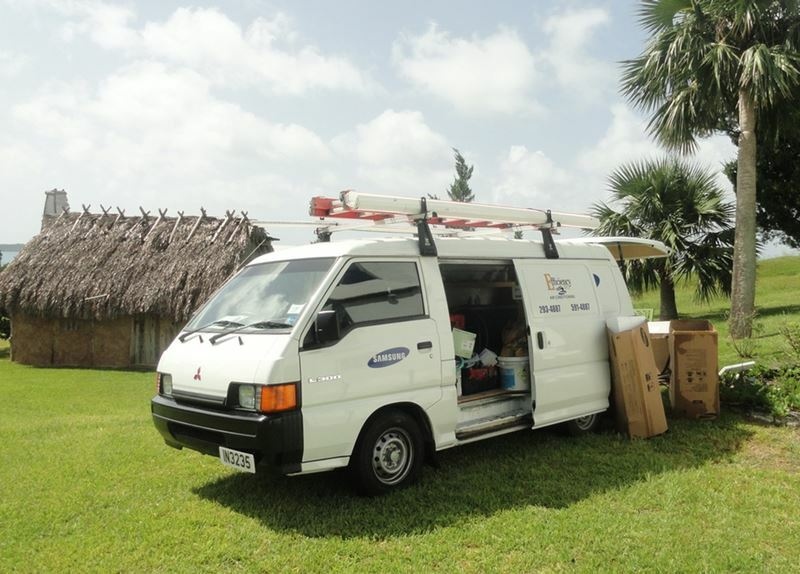 Efficiency Limited donated the remainder of the cost of the units and provided free installation. The upstairs unit was multi-zone, with one outdoor unit connected to two indoor systems, and the downstairs unit was a single zone system. Both units are energy efficient with high SEER [Seasonal Energy Efficiency Ratio] ratings. Carter House is believed to be one of the oldest homes in Bermuda surviving largely in its original structure for over three centuries. It is run as a museum preserving the culture and history of St. David’s Island. BIG BIG THANKS TO GEORGE SKINNER AND HIS CREW. AWESOME! !